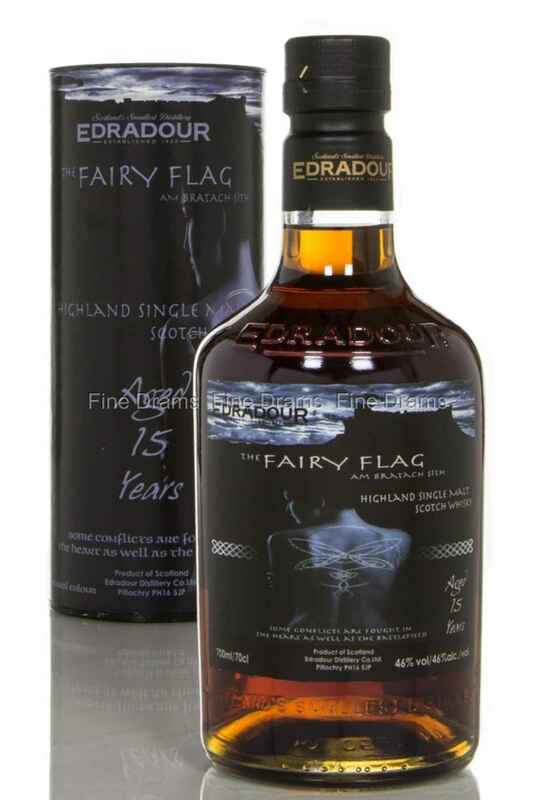 This special edition Edradour single malt called “The Fairy Flag” was initially matured in ex-bourbon casks for 8 years, before being transferred to a fresh Oloroso cask for further 7 years of maturation. Incredibly dark in colour, this whisky is characterized by a rich bouquet of fruits, chocolate and a long warming finish. Now, you are probably wondering what significance the name “The Fairy Flag” has. Well, it was named after a movie by Rory Mhor Nicoll and Peter Columbia, about an epic romance between the Clan Chief of the MacLeod’s and the mysterious Fairy maiden.